Organize That Bag! | All Things Ali J. 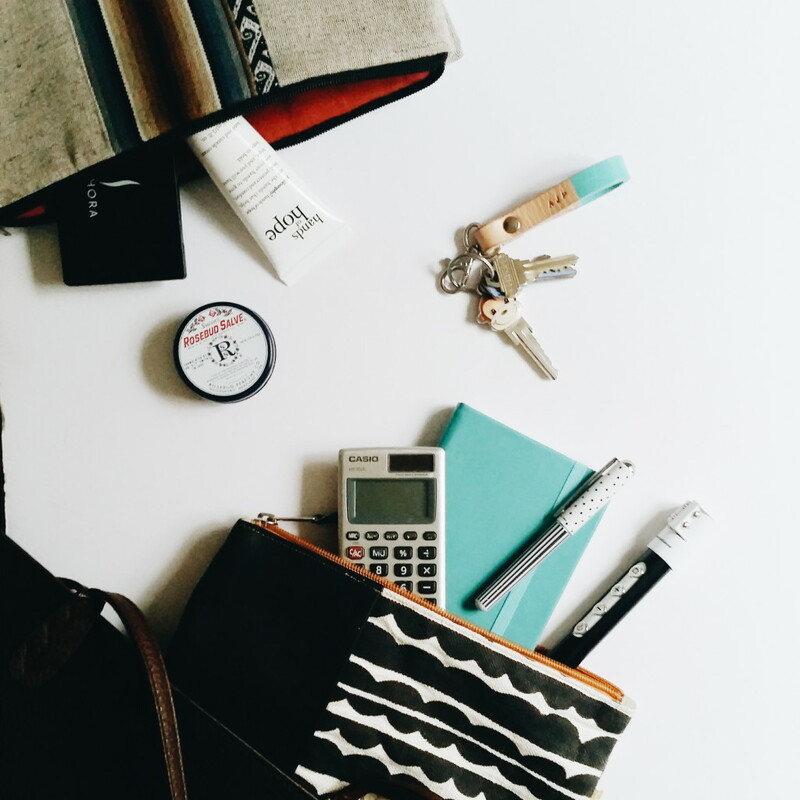 Home » Uncategorized » Organize That Bag! If you are like me, you live out of your purse. Almost anything and everything you could possible need throughout the day is in there, whether its for work, toddler necessities, toiletries, you name it, I got it! Not that I always use everything in it everyday or that carrying all of that stuff is super practical but how awesome is it when you find yourself needing to clean up a stained shirt before a business meeting and actually have that tide pen with you? Need to refresh your look for a last minute dinner after work? No problem, you brought just enough makeup and a a little bottle of hairspray to freshen up! Bringing all of these items may not always be the most practical or if they are all dumped into your bag it can take forever to rummage thru everything to find what you need. Using the following assortment of tips I’ve stumbled across on Pinterest I have managed to declutter and organize my bag while still always having everything I need with me at all times. Keep only the most useful objects. Dump everything out and ask yourself some questions. Do I really wear all of these lipsticks? Do I really need 10 different pens? Create little kits. 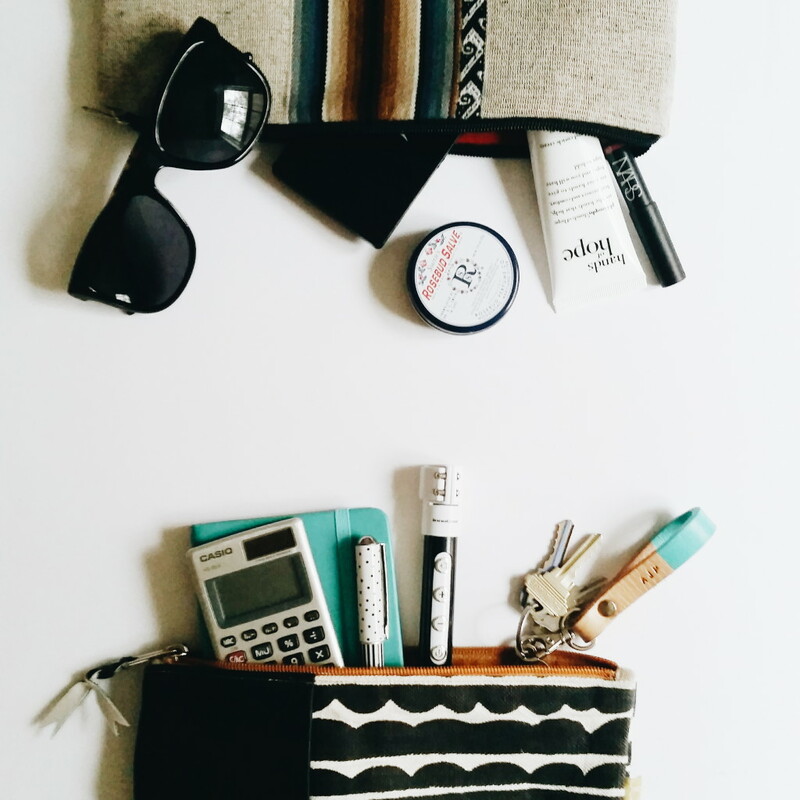 Organize pouches — workday, weekend, makeup, mommy kits, — that are easy to pack when you need them and easy to ditch when you don’t. Use clear-sided bags or a color coded system to quickly assess the contents. If you use bags that can double as a clutch, as I did, you also have an easy way to transition your daytime look to a more evening appropriate look by simply switching up your accessories. At the end of the day simply remove the pouches, dispose of anything you’ve accumulated during the day, wrappers, receipts, etc…..restock any supplies as needed, and you are all set for another day! I hope these tips will help you as much as they’ve helped me. If my bag is well packed, clean and organized it really makes such a big difference through the day. I feel so much more put together, less scattered and more accomplished and anything that can contribute to that feeling while still wrangling a two year old all day is a definite must! Do you have any tips or tricks you like to use to keep your bag functional? What items can you not leave home without? Please share in the comments below!